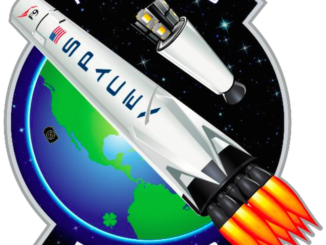 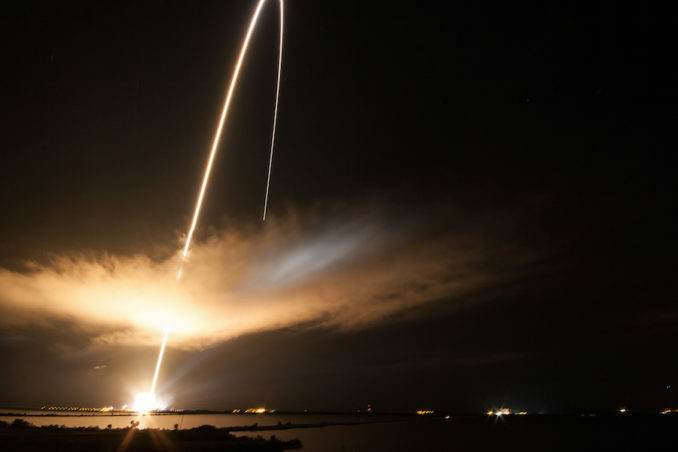 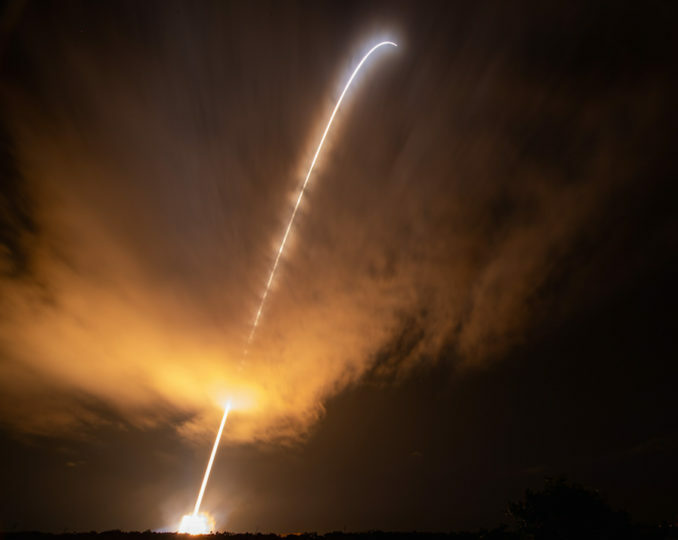 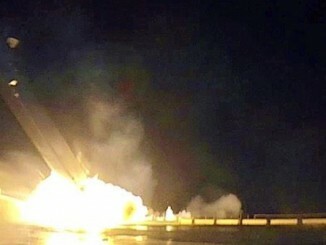 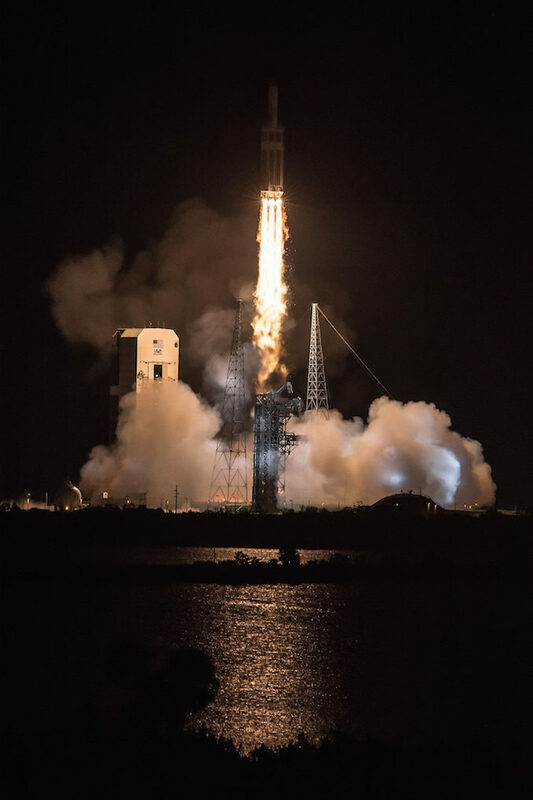 The heavy-duty rocket, standing 233 feet (71 meters) tall, climbed away from Cape Canaveral’s Complex 37B launch pad at 3:31 a.m. EDT (0731 GMT) Sunday, a day after officials scrubbed launch attempt due to an alarm in the final two minutes of the countdown. 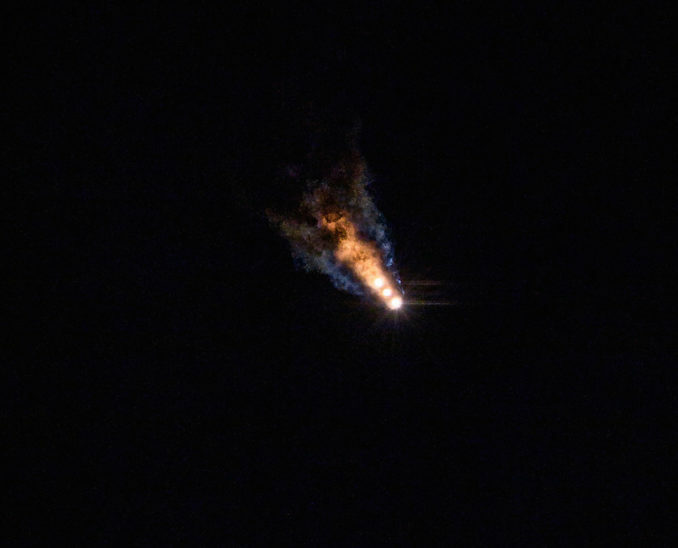 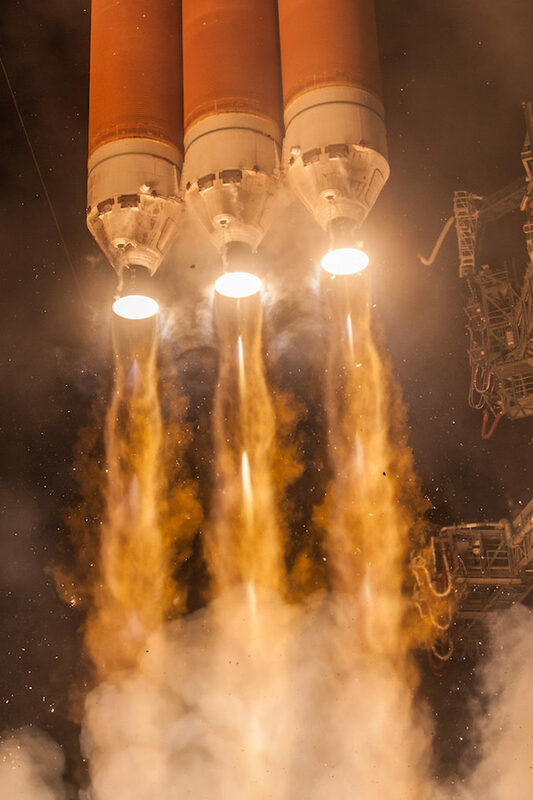 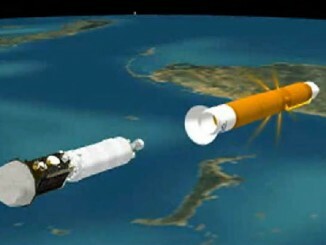 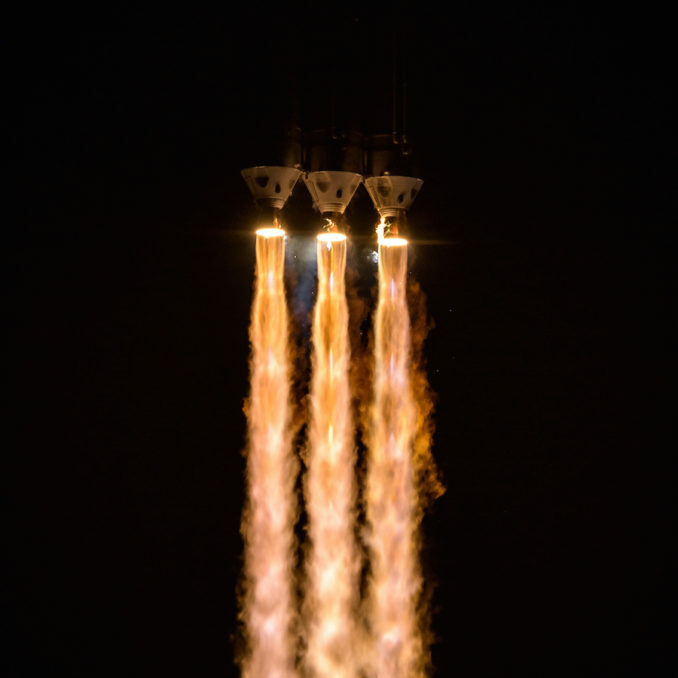 Three Aerojet Rocketdyne RS-68A main engines ignited in a staggered step-by-step fashion beginning at approximately T-minus 7 seconds, then throttled up to generate a combined 2.1 million pounds of thrust as the Delta 4-Heavy took off from Cape Canaveral. 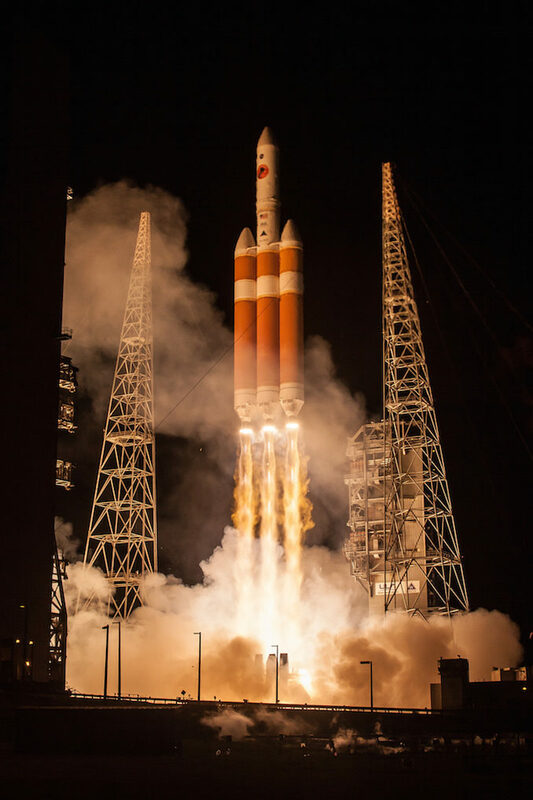 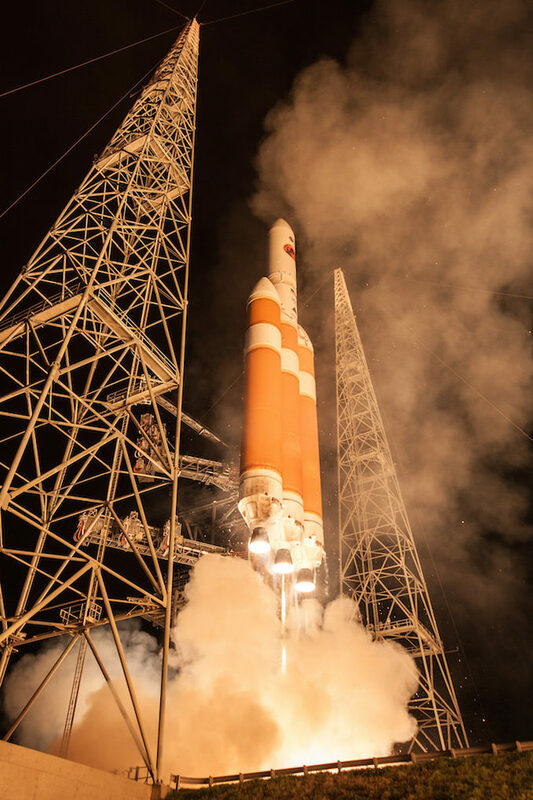 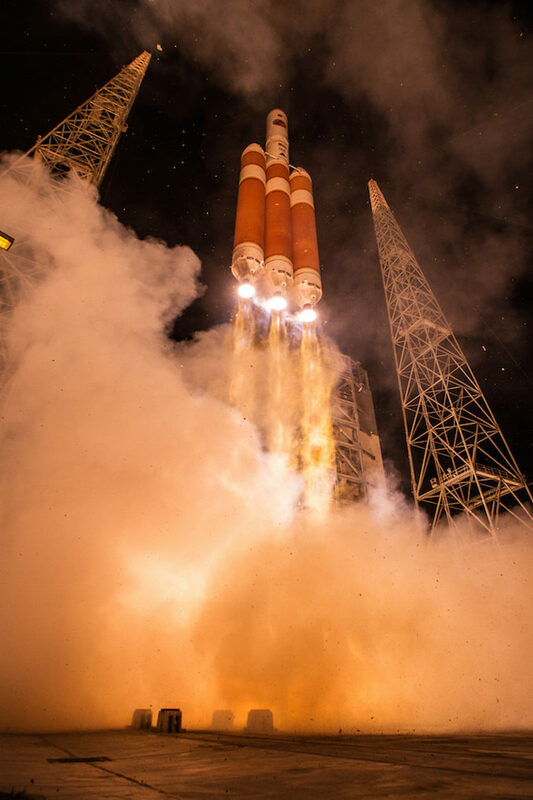 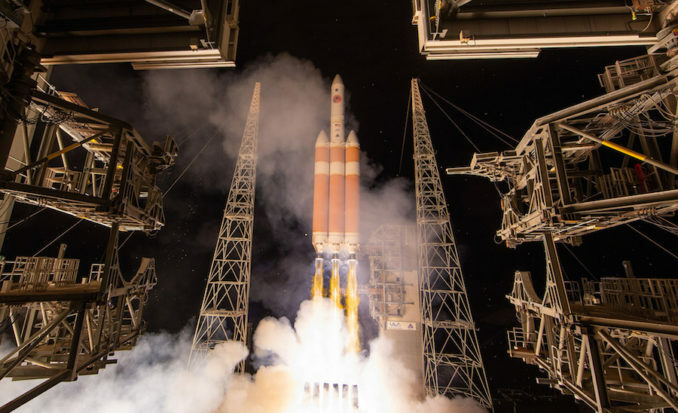 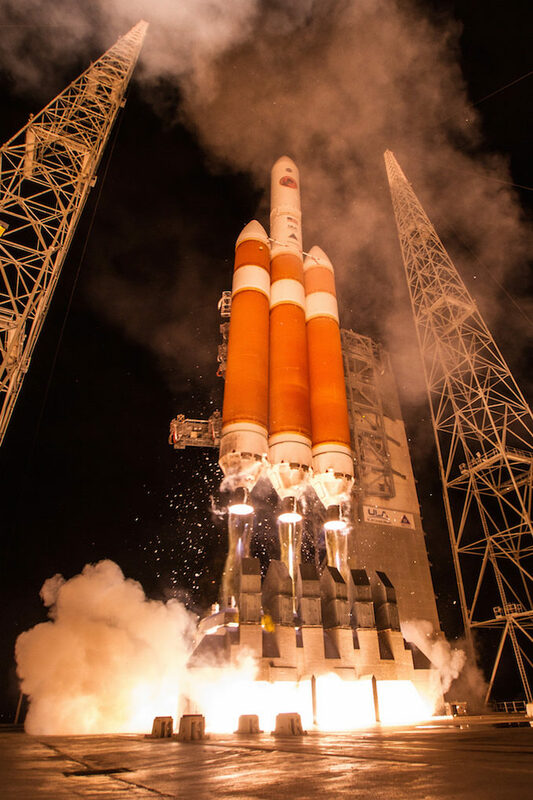 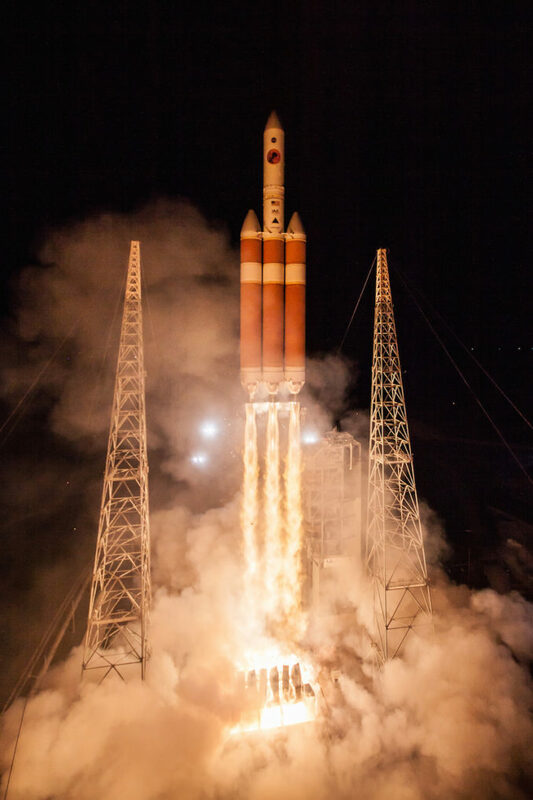 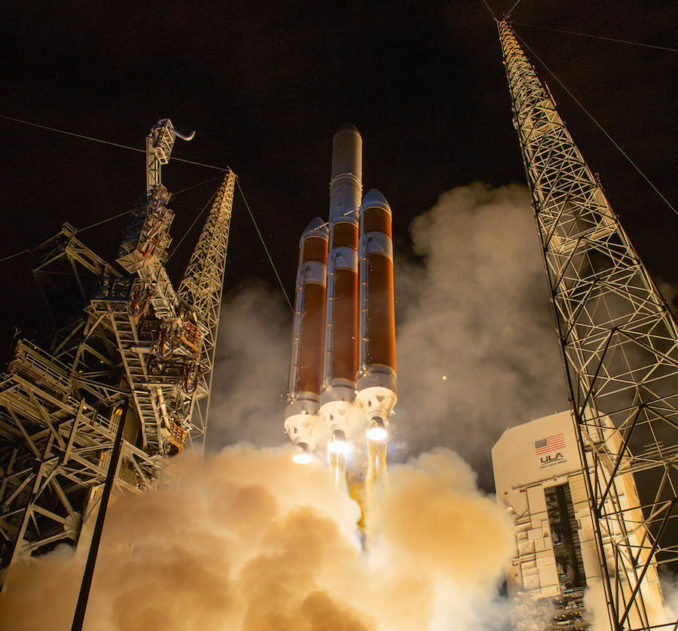 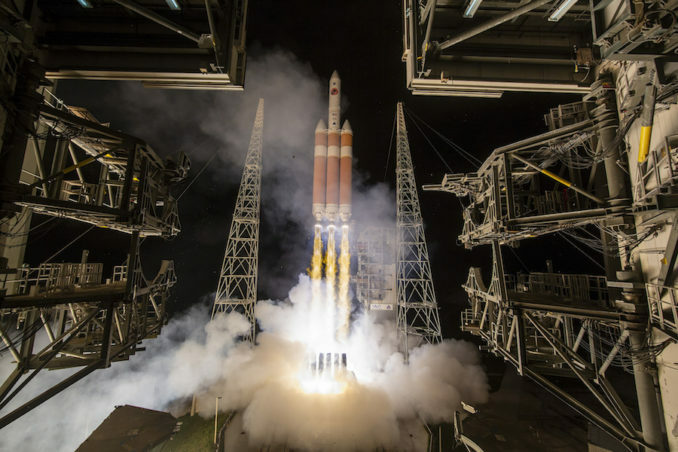 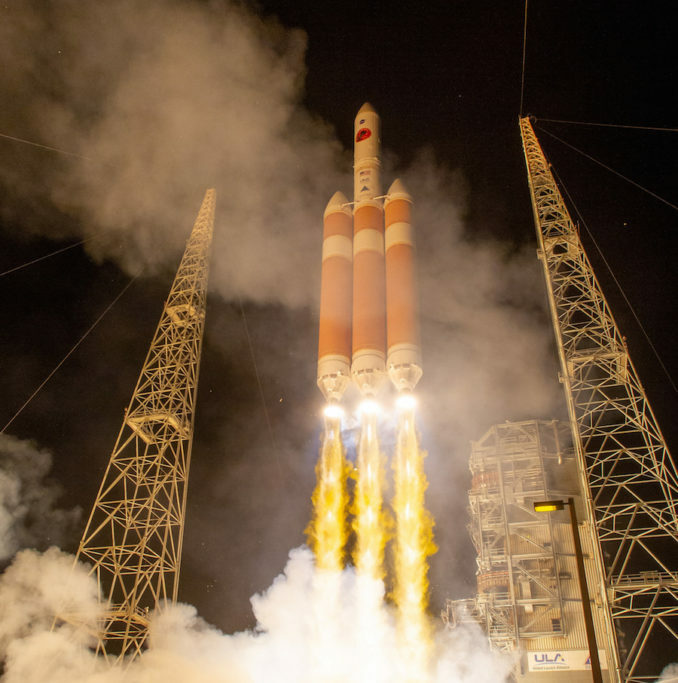 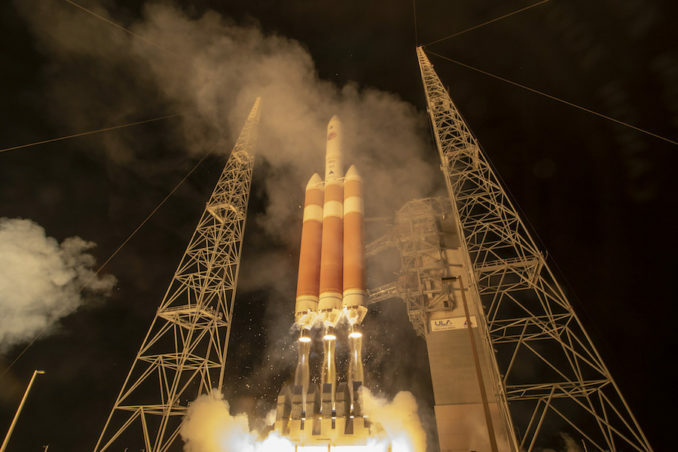 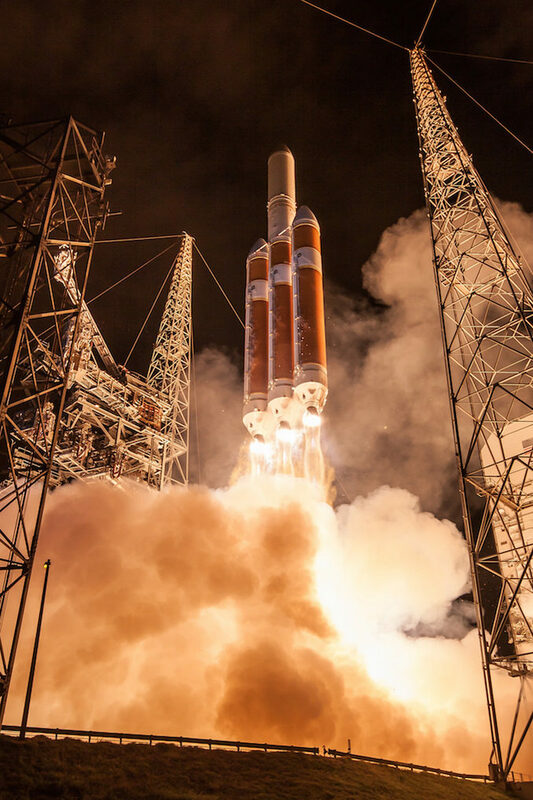 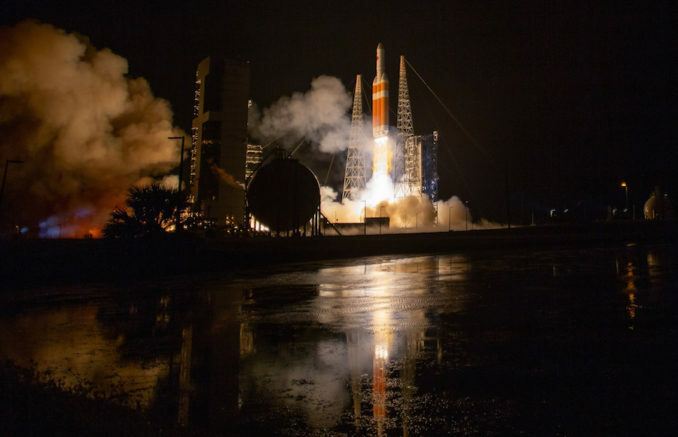 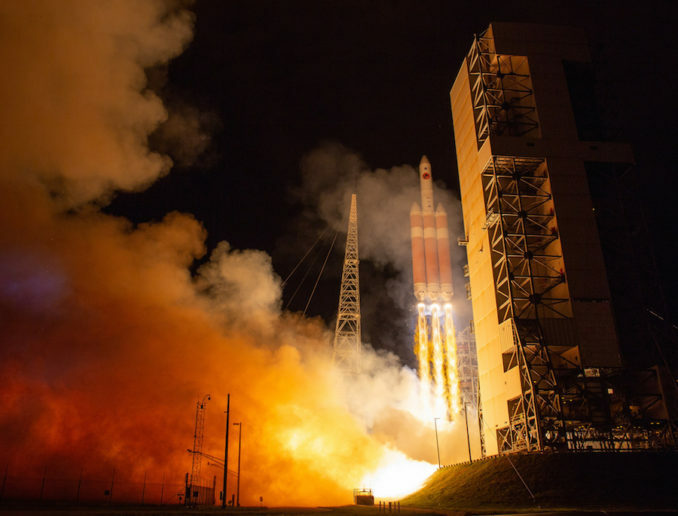 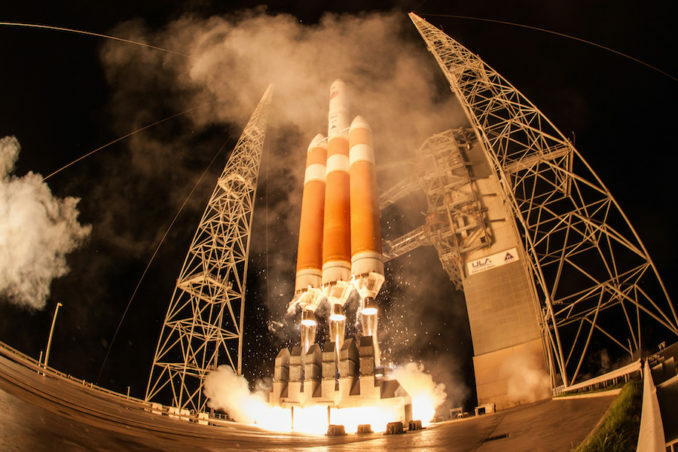 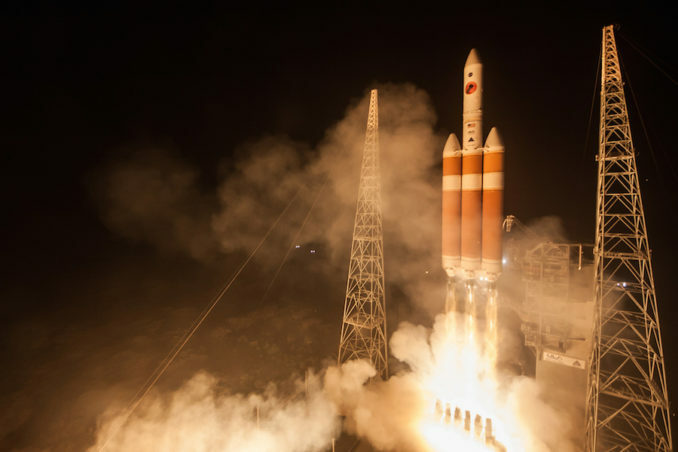 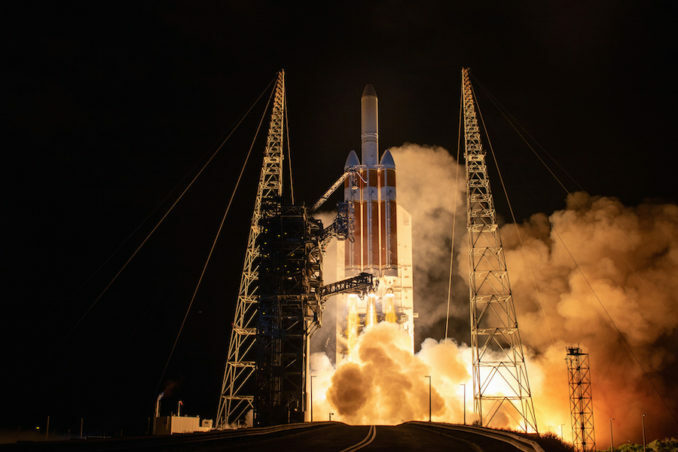 NASA’s Parker Solar Probe was bolted on top of the Delta 4-Heavy, the biggest rocket in the world, to begin a $1.5 billion mission to explore the sun’s corona for the first time.